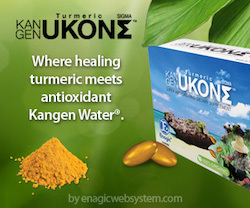 Fitness, Health, Training, water, hydration, dehydration, circulation, medicine. Your body is composed of roughly 60% water. That means when we are dehydrated – and most of us spend our days constantly dehydrated to some degree – we are affecting the performance of the majority of our body. Nearly all of our systems do not function as well without the proper water intake. 1. If you don’t drink water, you will die. It’s that important. Depending on our environment, we can live only a few days without water – maybe a week. We can live much longer without food. For most of us, we should prioritize the consumption of water far more than we currently do. Yes, that’s right – various research says staying hydrated can reduce risk of colon cancer by 45%(5), bladder cancer by 50%(6), and possibly reduce breast cancer risk as well. Research says dehydration can affect your mood and make you grumpy and confused. (3) Think clearer and be happier by drinking more water. Proper hydration contributes to increased athletic performance. Water composes 75% of our muscle tissue! 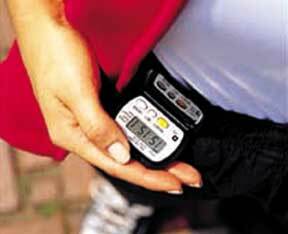 (4) Dehydration can lead to weakness, fatigue, dizziness, and electrolyte imbalance. Sometimes we think we are hungry when actually we are thirsty. Our body just starts turning on all the alarms when we ignore it. For those of you trying to drop some pounds, staying hydrated can serve as an appetite suppressant and help with weight loss. 6. Have less joint pain. Drinking water can reduce pain in your joints by keeping the cartilage soft and hydrated. This is actually how glucosamine helps reduce joint pain, by aiding in cartilage’s absorption of water. 7. Flush out waste and bacteria. Our digestive system needs water to function properly. Waste is flushed out in the form of urine and sweat. 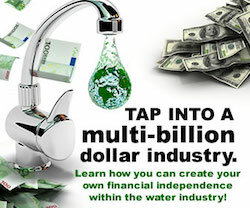 If we don’t drink water, we don’t flush out waste and it collects in our body causing a myriad of problems. Also combined with fiber, water can cure constipation. Sometimes headaches can be caused by dehydration. So drinking water can help prevent or alleviate that nasty head pain. Next time your head hurts, try drinking water. 9.Help Make your skin glow. Our skin is the largest organ in our body. Regular and plentiful water consumption can improve the color and texture of your skin by keeping it building new cells properly. Drinking water also helps the skin do its job of regulating the body’s temperature through sweating. 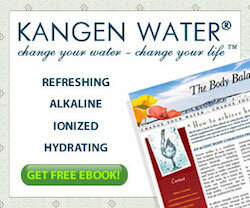 I personally use a spray of beauty water from my Kangen Water machine. I keep it in my purse and use it often during the day. The result of this is that I have found my sun-damaged skin has improved immensely and I have got rid of what I call the barnacles on my skin. Water is essential for the proper circulation of nutrients in the body. Water serves as the body’s transportation system and when we are dehydrated things just can’t get around as well. • Drink half your body weight in ounces of water (if you weigh 160lbs, drink 80oz of water each day). •Carry a bottle everywhere with you as a reminder to keep drinking. •Eat raw fruits and vegetables – they are dense in water. You can get water from food, not just from beverages. •Drink water and other fluids until you urinate frequently and with a light color. This was taken at my gym (LA Fitness) this morning at 6am. Kindly videoed by a member of the gym whom I do not remember his name and it felt impolite to ask him as I chat to him most mornings. How embarrassing is that. Today I nominate Eric Mann to take the challenge. One Week To A Healthier You! We have spent many years, months, days, minutes abusing our bodies in many different ways. Getting healthy is not going to happen overnight or in a week but its a start. If you try to change your lifestyle a week at a time, well who knows miracles do happen, you could get to like it, mainly because you are going to actually feel better. I don’t believe you have to give up all the good things you enjoy, but if you start out with these few things each day, for a week , you may like the results. Monday – Take the stairs. This is an amazing way to improve your fitness, especially if you find you are out of breath just climbing one set of stairs. 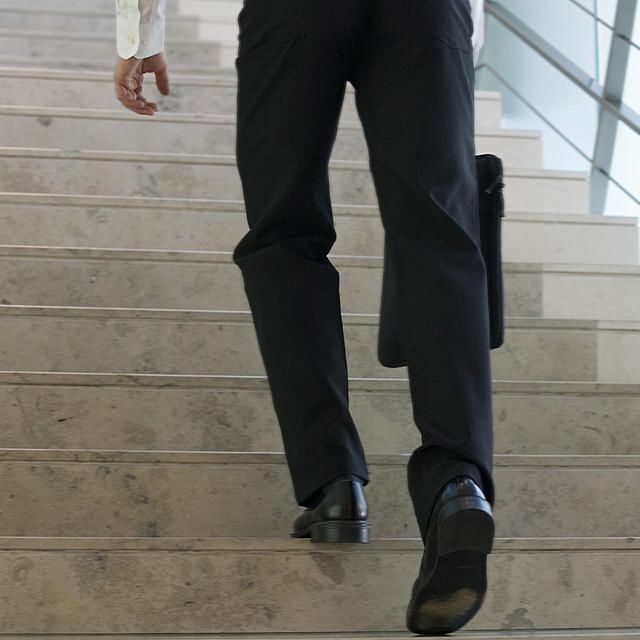 Find as many stairs as you can, allow yourself a few extra minutes to get to work so that you are able to take your time and not be late for work. Wednesday – Park the car further away from your work place. Walk just that little extra, every little bit helps. Thursday – Just because you are doing this extra exercise don’t even begin to think you can eat more. No No! Be very conscious of what you are eating. 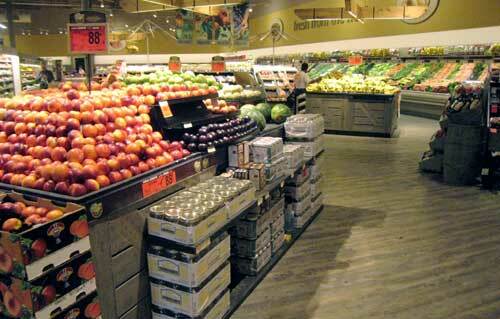 Great suggestion is – Stay to the perimeter of the grocery store. All the fresh stuff is usually around the outside of the store, such as meat and vegetables. All the tempting ‘not so good for you’ food is in the middle. Eat natural when you can. Friday – Ok its the end of the week and you should be feeling good about yourself and you may be going for dinner or a few drinks with your friends or partner. Relax, and do what you enjoy but just don’t overdo it. 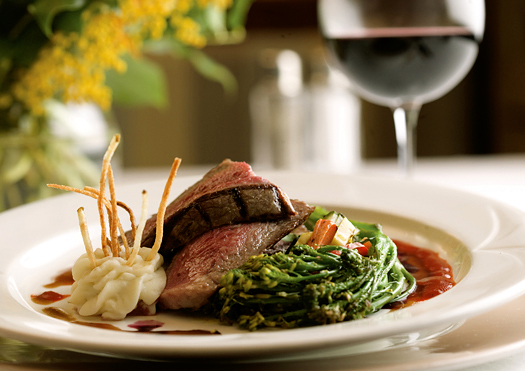 Maybe only have one glass of wine instead of two and don’t order any bread, maybe stick to a salad (be careful of the dressing you have) and steak and enjoy each bite and good conversation. Saturday – Take the dog for a longer walk, he is going to love you for it. Maybe you could get that bicycle out of the garage and give it a dust off and go for a ride. All of these suggestions are really easy to do and you will be amazed that you may have lost a little weight or you are just feeling that little bit better than normal. What ever the case may be, none of these things can hurt you. Not only will you save on medical bills because of better health you will save on grocery bills, maybe parking bills and your dog will be healthier. 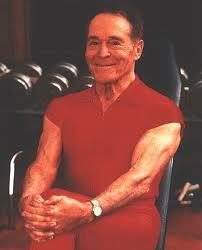 Jack LaLanne, the fitness guru of many years died yesterday at the age of 96. It’s an era in the fitness world that has ended. He was such a showman and an inspiration, a Godfather of fitness and who knows, saved thousands or even millions of people’s lives by getting them off their backsides and out into the world of exercise. Jack will be known for his amazing sayings. Most of you, myself included, were probably not even aware that they were his words. Here are some of those phrases. If it tastes good, spit it out. If you go to his website http://www.jacklalanne.com/ you are able to see what a great motivator he was.